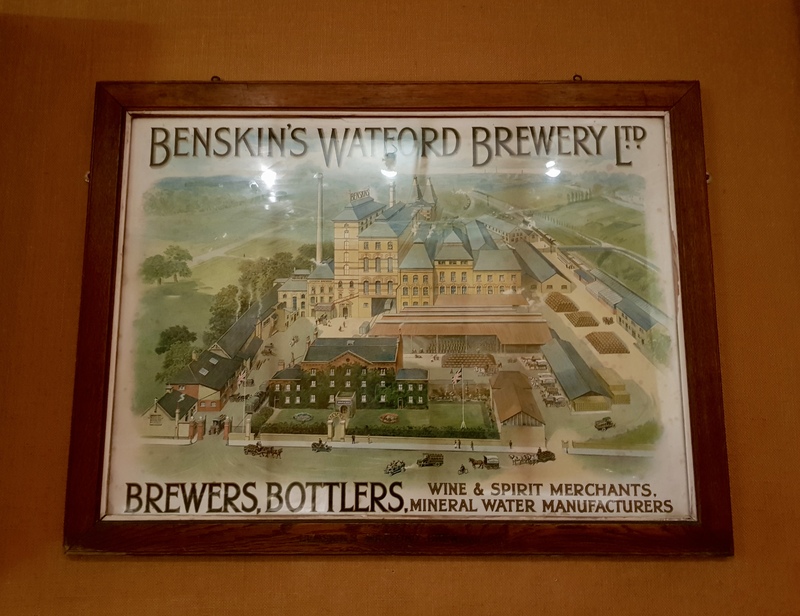 a short beer history of Watford – MostlyAboutBeer…….. Walking around modern-day Watford, you have to look hard for any clues it was the brewing epicentre of Hertfordshire. Today, Watford’s a town in a fluid state. The glass signs of national chains clamour for attention along the high street. Frontages change according to the rise and fall of these brands’ share prices. Nothing really links to the past – it’s all pointing towards the future perpetually on the horizon. The Intu shopping centre (still growing) isn’t in Watford’s outskirts. Rather, it’s now the centre and has turned Watford into its own suburb. It’s colossal – the escalators at its central cortex cross and juxtapose like stairways from an M.C Escher canvas. This is only fitting as the one-way traffic system was designed by Hieronymus Bosch. But brewing used to be Watford. The shots used to get called from here. As we’ll see, the town dominated over all else in its day. 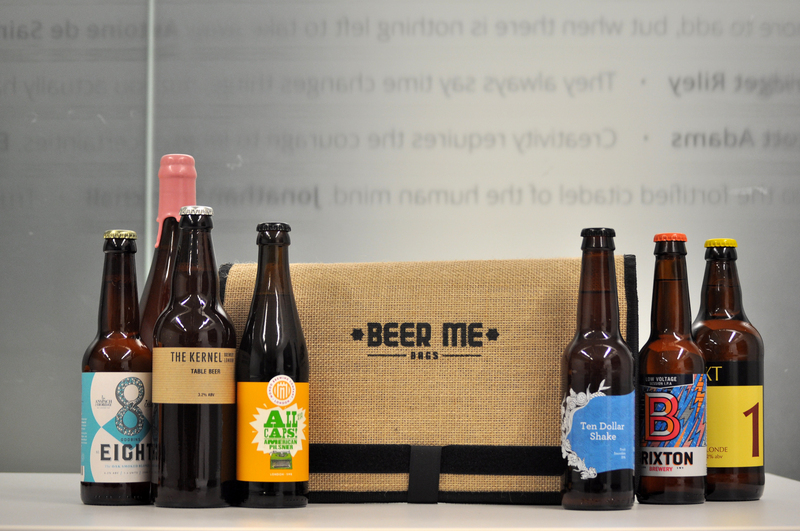 But first, let’s pull at the more humble threads of its beer history. The first recorded brewer by trade in Watford was Nicholas Colebourne who was listed in the 1605 survey. In 1619, John Day was also listed as a brewer. In 1671, on the death of Mr John Baldwin – landlord of the Rose public house – an inventory revealed he had a fully-equipped brewhouse and beer cellar. The Compasses – the backdrop to public spectacles for over two hundred years – had a brewhouse attached when it was sold by Mr Vaughan in 1760. The Swan was brewing in 1770, but there have been three pubs by that name in Watford, so nobody’s sure which one it was. “a brewing copper as fixed, a mash tub and underback, two coolers*, two working tubs, a small hot water copper, sundry odd tubes and implements of brewing and the grain pit and four ladders”. But the legacy of brewing proper started at 194 High Street. In 1775, one of Watford’s first three-storey brick buildings was built by Mr John Bird, the son of a freemason. This establishment was to become one of the most important historical buildings in British brewing history, and one of the most pivotal addresses in Hertfordshire. I’m very happy to announce it’s still standing – reincarnated as Watford Museum. Mr John Pope – a baker by trade – took the building over and diversified into brewing. He founded the Pope’s Yard Brewery. In 1812, the brewery was then bought by Mr John Dyson. During his ownership, the business became known as the Cannon Brewery. This man was nothing if not practical: he once lent a low brewer’s dray to draw along the coffin of James Rogers – the enormous landlord of the Rose and Crown – so his unliftable body could be conveyed by cortege down the high street. The Cannon Brewery became Benson Bradley & Co by 1869, though would still be known locally as the Cannon Brewery – the lettering saying so remained on the chimneys up until 1897 when the symbol was changed from a cannon to a pennant. In 1885, Thomas Benskin (grandson of the eponymous founder) was joined by James Panton from nearby Wareham Brewery who was the first brewer to study scientific brewing at London University. Eight years later, it became known as Benskin & Co and went on to have London stores at 26 Praed Street close to Paddington Station. Benskins even supplied West End theatres as well as the bars in the House of Commons. Railway sidings were built to come right into the brewery yard to connect with the local train network and speed its cask multitudes directly to the capital. Crown Brewery (Hertford) – 1895, Groome’s King’s Langley Brewery – 1897, Kingsbury Brewery (St Albans) – 1898, Healey’s Brewery (Watford) – 1898, Victoria Brewery (Watford) – 1898, Ashdown’s St George And Dragon Brewery (Leighton Buzzard) – 1898, Hawke’s Brewery (Bishop’s Stortford) – 1898, Locke & Smith’s Brewery (Berkhamsted) – 1913, Bailey’s Fox Brewery (Bishop’s Stortford) – 1915, Barber’s Brewery (Aston Clinton) – 1915, Taylor’s Brewery (Saffron Walden – bought off of Watney, Combe Reid & Co) – 1915, Pryor, Reid & Co Brewery (Hatfield) – 1920, Sedgewicks Brewery (Watford) – 1923, Robert’s And Wilson’s Brewery (Ivinghoe) – 1927, Wellers Brewery (Amersham) – 1929 and finally Wells Brewery (Watford) – 1951. A grand total of sixteen breweries were ingested by Benskins and the 636 tied pubs that collectively came with them. It was a huge deal. Watford Football Club had close ties with the brewery which owned the freehold of its grounds on Vicarage Road. It let the club pay a token ‘peppercorn’ rent, and up until the 1960s, the team was known as ‘the brewers’. In 1957, Benskins accepted a bid from Ind Coope who bought 1,363,995 shares out of a total of 1,368,000. Brewing continued at the site until 1972. The whole site was bought by Watford council and the main brewery buildings were demolished in 1978. For a while, there were still beers brewed under the Benskins name. A special commemorative ale was brewed in 1984 to celebrate Watford Football Club reaching the cup final (in which they lost 2-0 to Everton). However, the beer was by this point brewed in Burton. There was also an edition of strong ale in bottles and the name was revived sometime in the 2000s as a cask beer but not to the original recipe – as Watfordians have attested to me. Following further takeovers, Benskins now belongs to Carlsberg as a completely defunct trade name. Benskins had well and truly departed – a leviathan that got swallowed up. After subsuming most of the local landscape, it was itself taken by international forces unseen – proof there’s always a bigger fish. It now exists on an almost spiritual plain; if you happen to glance upwards at a fortuitous moment, you’ll witness the faded lettering of ghost signs. ‘Benskins fine ales and stout’ can still be discerned whispered from aging brickwork. Between Benskins closing and the ensuing four decades, there were few local attempts at brewing. Most notable was the Firkin chain at the Flag pub next to Watford Junction station. There was another false dawn at the bowling alley/bar/cinema complex next to the A41, but most of the customers only swilled corporate Lager and it didn’t last long. A revival finally came in 2010 when the new Pope’s Yard Brewery was born commemorating the town’s heritage. 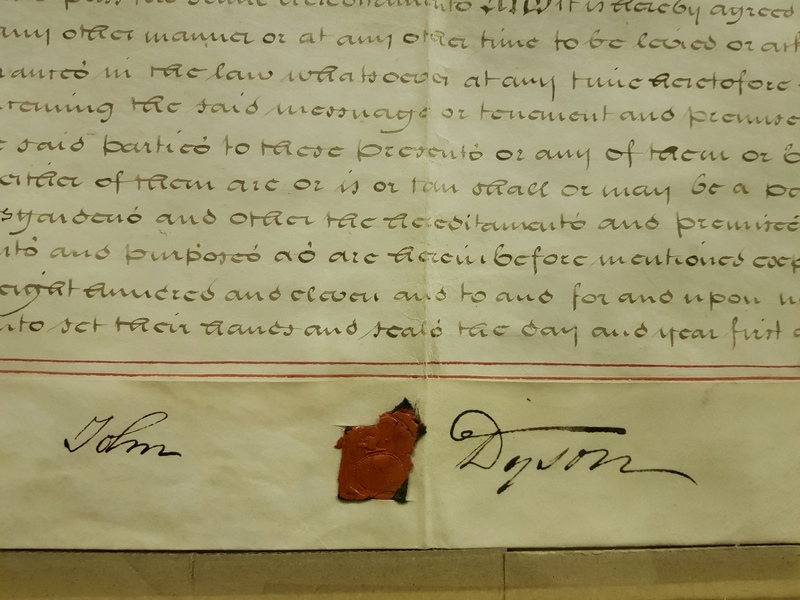 Head brewer Geoff even owns the original indenture of sale from 1812 stamped with Mr John Dyson’s wax seal. 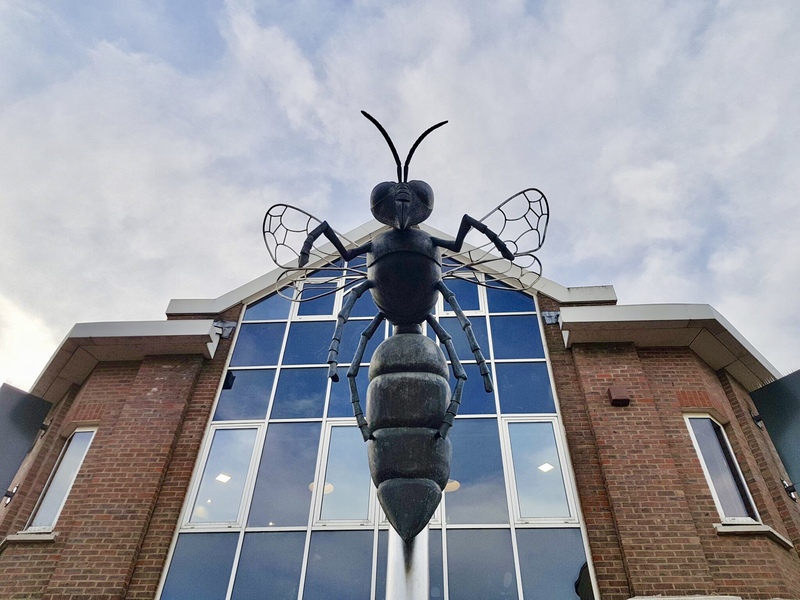 In late 2017, another company – Watling Street Brewery (named after the ancient road it used to be situated by) – moved into a trading estate close to Watford North train station. Last year, Pope’s Yard had to leave its home on Whippendell Road when the building was sold. As no suitable alternative site could be found, it moved out to an old water mill building in Apsley on the edge of Hemel Hempstead. The irony is that both breweries uprooted from the locations that inspired them. However, Watford hasn’t lost Pope’s Yard completely. The council has given the green light for it to claim an historic structure as its tap room: the Victorian building that once served as Watford Junction’s ticket office. All discerning native drinkers eagerly await its opening this year and getting reconnected with over four hundred years of local brewing. A few errors there: “John Pope – a baker by trade – took the building over and diversified into brewing. He founded the Pope’s Yard Brewery.” – John Pope had nothing to do with the building at 194 High Street. His brewery was at Pope’s Yard. “In 1812, the brewery was then bought by Mr John Dyson” -John Dyson, John Pope’s grandson, inherited the Pope’s Yard brewery in 1750. In 1812 his son, John Dyson 2, bought the mansion at 194 High Street built for the Southwark brewer Edmund Dawson in 1775, later building a brewery behind it. “During his ownership, the business became known as the Cannon Brewery. “ It does not seem to ehave been called the Cannon brewery before 1861. “The Cannon Brewery became Benson Bradley & Co by 1869” – after John Dyson III died in 1867 the brewery was bought at auction that year by Joseph Benskin, who had been a hotel owner and operator of the railway refreshment rooms in Swindon, and his business partner William George Bradley, also from Swindon. 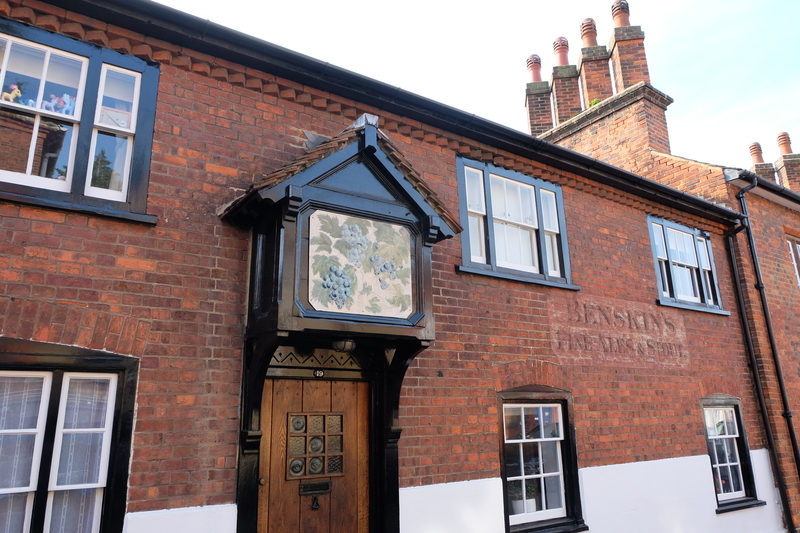 The partnership of Benskin and Bradley was dissolved in 1870 (Bradley seems to have gone off and run a brewery in Epsom) and the Benskin family carried on as sole proprietors. All corrections gratefully received, Martyn. This archivism/history lark is tougher than it looks! Mmmm, well, I’ve been researching Benskin’s now for (checks watch) 40 years and I’m still discovering new facts, like Joseph Benskin running the Swindon railway refreshment rooms. 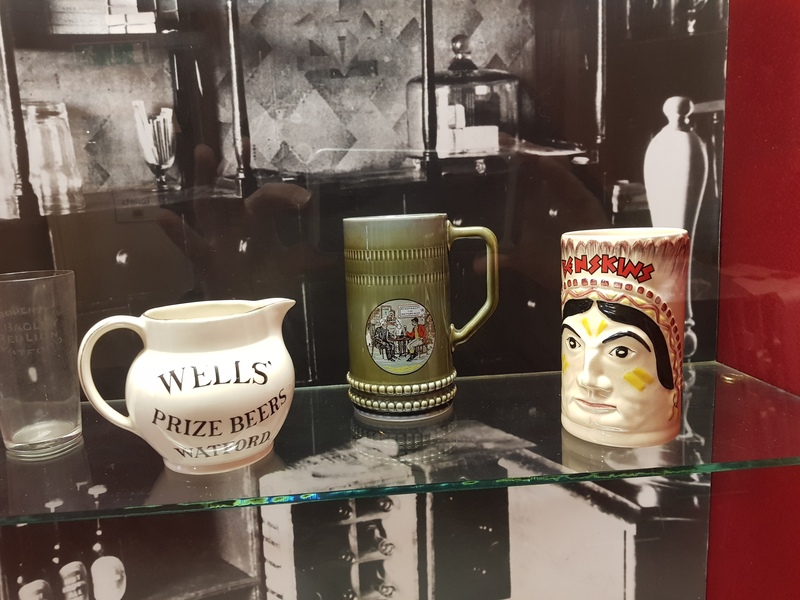 a short beer history of Ware – MostlyAboutBeer……..
#Tryanuary 2019 – BEERS IN ONE FORTY.